In Westfield, general dentist Dr. David M. Weinman and his team of dental hygienists and dental assistants are committed to providing you and your family with the most comprehensive dental checkup. At these twice yearly appointments, we clean and polish your teeth to make sure your smile is as healthy and attractive as possible. 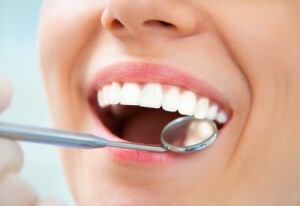 We also examine your teeth for any signs of decay or newly developed cracks; we assess the health of your gums and the other soft tissue in your mouth and throat; digital x-rays are taken when necessary to find any spots of decay that are not visible to the naked eye; and we conduct a thorough oral cancer screening to catch this usually curable disease as early as possible. That’s our part in your dental checkup. But did you know that you have an important role to play, too? Dr. Weinman and his staff need you to speak up! Tell us about any concerns that you may have about your oral health, or if you’ve noticed any abnormal symptoms. Or perhaps there’s something about your smile that you’d like to alter with cosmetic dentistry. What you tell us at a checkup can be a clue to necessary restorative treatment or the beginning of a more beautiful smile. One comment we sometimes hear from patients is that they’ve experienced tooth pain. Sometimes pain may be temporary. Ongoing pain, however, is something Dr. Weinman and his staff would want to look in to more seriously. In some cases, pain may indicate the presence of tooth decay, in which case we can usually repair your tooth with a tooth-colored filling. If the decay is more extensive, then Dr. Weinman may elect to place a porcelain inlay or onlay, or a dental crown to fully encapsulate the tooth. If there is something you don’t like about your teeth, then chances are we have the cosmetic treatment that will make you happy to share your smile. One of the most effective procedures we offer is teeth whitening. Many of our patients have derived great benefits from whitening and brightening their smiles with either our Boost In-Office Whitening system or our Zoom! take-home whitening trays. With convenient cosmetic bonding, Dr. Weinman can reshape a tooth that is chipped, a little cracked, misshaped or perhaps too small in comparison to your other teeth. Porcelain veneers are customized shells of dental porcelain that are bonded to the teeth that show when you smile in order to cover flaws and create an entirely new appearance. Call your Westfield dentist to schedule a dental checkup with Dr. Weinman, and be sure to tell us about any concerns you have about your special smile. Our Westfield, NJ, office welcomes patients from surrounding areas including Scotch Plains, Fanwood, Cranford, and Mountainside.